I'm always appreciative of any product that can make my multitasking a little easier, which is why I was thrilled to discover the VTech LS6475-3 Two Handset Cordless Answering System with Cordless Handset. Keep reading to learn more! I reviewed the Two Handset Cordless Answering System with Cordless Headset (LS6475-3) from VTech, which retails for $99.95, but is currently on sale for $78.66 with FREE SHIPPING. The VTech LS6475-3 is a cordless phone with all of the bells and whistles a busy mom needs to manage her day. 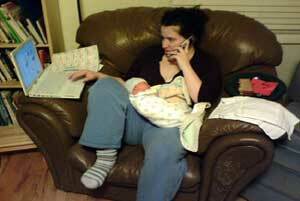 I find myself on the phone quite a bit while caring for my toddler, doing the laundry, cooking meals and checking email. The VTech LS6475-3 allows you to better multitask while on the phone, thanks to the included cordless headset. Now I can enjoy the freedom to have a private cordless hands-free conversation absolutely anywhere in my home. The DECT 6.0 cordless headset gives the same interference free, superior sound and long range you receive with the traditional handset. With both hands free to take care of my many other daily duties, I can be more efficient and less frazzled while trying to tackle my never-ending to-do list. 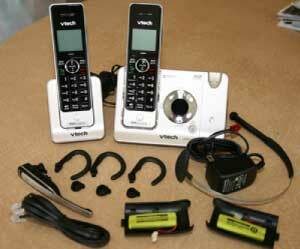 The LS6475-3 cordless answering system from VTech includes 2 handsets yet requires only one phone jack. The additional handset can be placed absolutely anywhere in your home or office where you have an electrical outlet and does not require a phone jack. This system is also expandable up to 12 devices, with 2 of the devices being cordless headsets, using just ONE phone jack! Now every person in your home can have their very own handset for the utmost in household communication. Why would it be a great idea for each family member to have their own handset? Because the VTech LS6475-3 cordless phone also has a push-to-talk feature so that each member can communicate with each other via the handset, walkie-talkie style. No need to shout throughout the house anymore! :party: That's a huge bonus in my book. Another wonderful benefit to using the VTech LS6475-3 is the Voice Announce Caller ID. Now, I don't have to stop what I'm doing and try to locate the nearest handset when the phone rings. This cordless answering system loudly announces the name or number of the caller on the other end of the line. 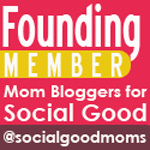 This makes screening calls much easier, which is definitely important to a busy mom. I don't know how many times I almost broke my neck racing across the house to answer the phone, only to be connected with another telemarketer. This way, if I'm right in the middle of something, I can know instantly whether this is a must-take call or not. Finally, the VTech LS6475-3 delivers crystal clear sound that's rich and life-like. The frequency band of this particular cordless phone has been extended allowing for the signal to be reproduced and tuned for a fuller and clearer sound. Choose from 4 different profiles to match your hearing from the built-in equalizer. 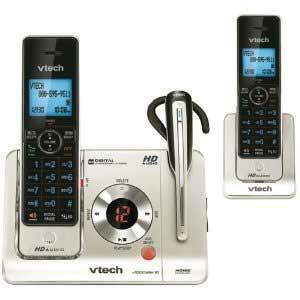 Need even more reasons to try the VTech LS6475-3 cordless answering system for yourself? Okay, you asked for it! Audible time and date stamp on recorded messages. Multiple over the ear and over the head wearing styles. Enjoy the freedom to have a private, cordless, hands-free conversation anywhere in your home or office. This DECT 6.0 cordless headset gives you the same interference free, superior sound, and long range you expect with a traditional DECT 6.0 cordless handset. Interference free for crystal clear conversations. Won't interfere with wireless networks and other wireless devices. 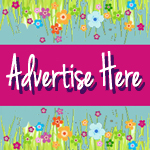 Stay up-to-date with all the latest from VTech by liking them on Facebook and following along on Twitter. 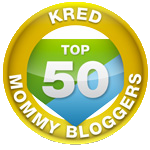 Okay, busy moms... Do you have any tricks of the trade for how to accomplish more during the day or just how to stay sane? 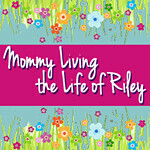 Please leave a comment sharing your secrets! 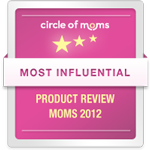 Disclosure: I wrote this review while participating in a campaign by Mom Central Consulting on behalf of VTech and received a product sample to facilitate my review.